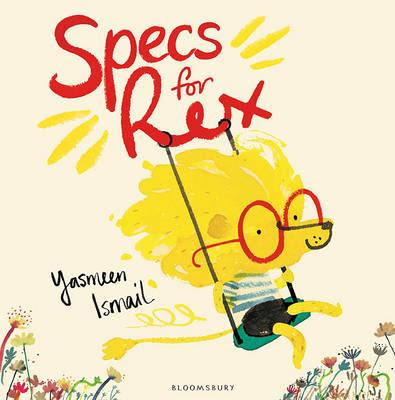 Specs for Rex is is a fun story about being a little different, with bright watercolour illustrations that perfectly set the scene and convey the emotions of a busy school day. A lion named Rex has new glasses, they are big and red and he is not particularly fond of them. From the moment he pops them on his cute little face, he is not impressed. He spends his morning and school day trying to hide them in the most peculiar places. Rex is so embarrassed by his glasses, that he even tries to hide himself and covers them in paint during art class. Through a series of events, Rex soon finds the benefits of his glasses, and he discovers that they can be great. They help him see properly, and he uses this ability to save the day, scoring him a gold star, and even helping him make a new friend. The story sends a nice message about embracing change and how being different and standing out from the crowd can be pretty great. A relatable story for anyone who has had new glasses and a helpful book for young children going through the process of beginning to wear glasses.